Millennials tend to rent longer before buying their first home (approx. 6 years). An all-time high of 35.6 % of adults 18-34 were living in their parents’ homes in 2015. According to a recent ULI article, developers are recognizing that their previous assumptions about the future of Millennial home buying habits haven’t turned out to be true. Assumption: Millennials would abandon suburban communities for urban lifestyles. Actuality: Only 15% of millennial buyers bought a home in an urban area in 2017, down from 21% in 2015. Assumption: Millennials aren’t having kids or getting married, so they’re going to keep renting. Assumption: Millennials wouldn’t be as interested in living in a master-planned community with amenities as older generations. 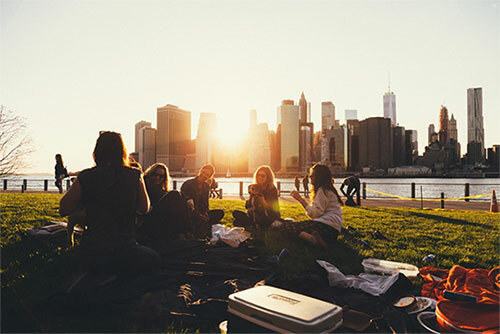 Actuality: Developers are seeing a much larger percentage of their buyers coming from the Millennial generation than expected, likely due to their interest in walkable and connected communities. Now that we have the data to support these new realizations, developers, builders, and brokers should leverage these insights in their planning & marketing strategies. When marketing to millennials, focus on appealing to their generational values though authentic messaging throughout multiple channels – both on & offline. Mobile-friendly advertising: 77% of millennials used a mobile device in their home search.3 Ensure that your website provides a user-friendly mobile experience; optimize your social ads for mobile devices; consider creating an app where users can easily access your real estate offerings. Flexibility: If you’re a builder that offers a variety of floorplans and financing options, highlight this flexibility in messaging to millennial audiences. If you’re a broker, offer options for communication – texting, email, social media, etc. Value proposition: Developers should incorporate the values of this generation when planning and marketing new communities. Walkability, connectivity, energy efficiency, and affordability are all important to millennials in choosing a home. Bonus points for dog-friendly communities – 33% of millennial first-time homebuyers surveyed by SunTrust Mortgage were motivated by the desire for more space for a dog, more so than by marriage (25%) or the birth of a child (19%). Location, location: A remarkable 84% of millennials say they’d be willing to give up a home feature – such as a garage, updated kitchen or some square footage – to live in their ideal neighborhood.4 Realtors & brokers should consider this when promoting listings to millennial audiences. 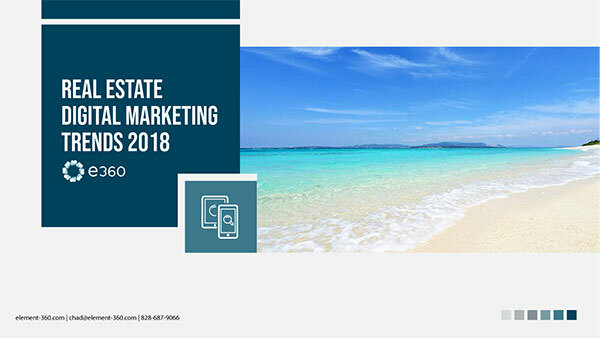 Posted in Blog, Real Estate Market Trends, Real Estate Marketing Trends.